Nick was instrumental in building Dow Chemical’s innovation capabilities in the Pacific for more than 30 years and active in Dow’s Marketing Excellence group for more than 10 years. In these roles he helped Dow marketers improve their skills and helped the business develop its strategy. Before he retired from Dow, he held the additional role of investment manager for Dow Venture Capital, identifying various investment opportunities and also managed the investments in place in the Pacific for 4 years. Nick served as Global Strategy Development Manager and guided Dow businesses in developing strategies using the VBM (Value Based Management, EVA) concept from his Area Marketing Manager role in Hong Kong. 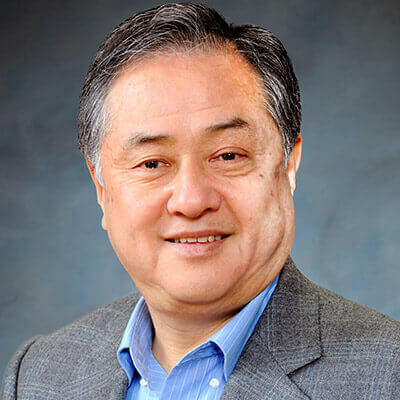 He held various roles at Dow, such as Technical Service, R&D, Sales and Country Marketing in Gotemba, Tokyo and the USA. Nick started his career as an application development engineer at Sumitomo Envirotech Co. Ltd. (Tokyo, Japan) and Envirotech Corporation, Menlo Park, CA, USA before joining Dow Chemical in Japan. Nick Sakakibara holds a MS (Master of Science) and ME (Master of Engineering) in Chemical Engineering from Nagoya University, Japan and University of Utah, USA, respectively, and a Bachelor’s degree in Chemical Engineering from Nagoya University, Japan. He also studied at the Berean Bible College, San Diego, CA, USA when he was 19. He received an oversea study fund from Murata Oversea Scholarship Foundations, Kyoto, Japan. He lives with his wife and a son who has been seeking his life-time job, residing in Tokyo, Japan.